We would like to take this opportunity to tell you a little bit about our Booster Club. We are all parent volunteers of student athletes at Elk Mound High School. We volunteer time from our own busy schedules, to raise money to meet the needs of our athletic teams. 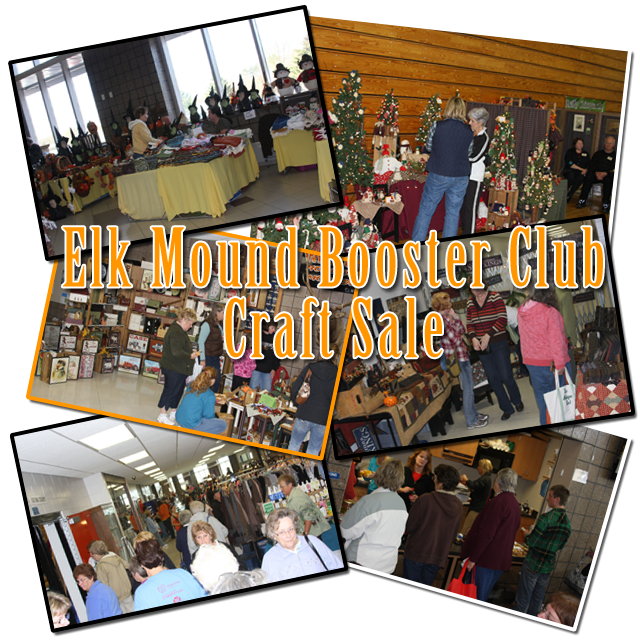 We host two craft sales each year as our major fundraisers. Our mission is to provide support for all athletes and coaches of Elk Mound High School, and to assist in providing a quality experience for all athletes, to ensure their safety, to promote teamwork, good sportsmanship, and adherence to the established Athletic Code of Conduct.